Driven by a love for nature, PC and his family accepted the responsibility to conserve and protect the land that was entrusted to them. Now after three generations of traditional Karoo sheep farming, they would like to invite you to share with them the beauty and tranquillity of the Karoo Gariep Nature Reserve (established 2015). They intend to share the hidden treasures of this arid landscape, and their way of living with you and to create an opportunity for you to experience the Karoo as their special friend. The Karoo is fast becoming a very popular wedding destination, and New Holme Guest House on the reserve would constitute a unique wedding venue. Marisca (PC's wife) understands the pressures of arranging a wedding, but you can rest assured that she will take care of business even to the smallest detail, making your day the most memorable of all. Both PC and Marisca promise an unforgettable family and friends weekend get-together for your special day. This unique venue lends itself to host a wide range of themes and wedding styles. There are 5 accommodation options to choose from namely: the Mieliefontein Karoo Guest Farm; the Wolmade self-catering cottage (managed by Ian & Elma); the New Holme Guest House; the Stoffels Rus self-catering log home and the Karoo Gariep tent (managed by PC & Marisca). At Karoo Gariep Nature reserve we offer a variety of activities, from bird watching, night drives, a 3 day horse trail, fishing and mountain biking. Come and enjoy the finest the Karoo has to offer. 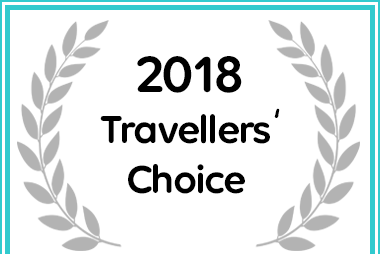 Karoo Gariep Tented Camp received a Travellers' Choice Award for 2018.